The National Mall will transform into Peru for two weeks during the Smithsonian Folklife Festival, starting June 24-28 and continuing July 1-5. For the last 49 years, the Smithsonian has dedicated these two weeks to celebrating cultures all over the world, bringing cooking, crafts, music, artistry and tradition into downtown D.C. 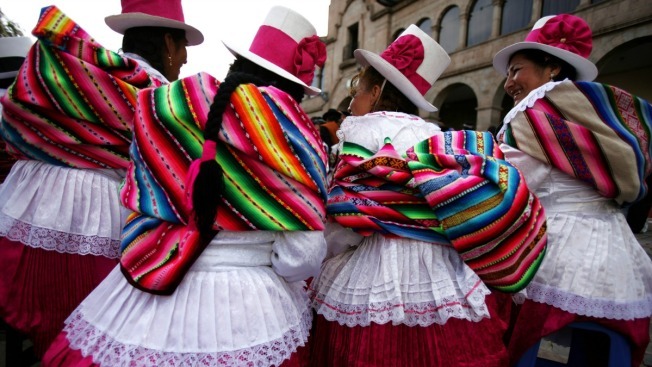 This free outdoor celebration -- this year, featuring all things Peruvian -- will be held between 3rd and 4th Streets, just north of the National Museum of the American Indian. Taste and learn how to make Peruvian classics, such as quinoa al cubo. Three local Peruvian restaurants will also also be featured, serving dishes such as ensalda con palta y quinua, avocado salad topped with quinoa and a mix of vegetables. You’ll also find masquerade dancing workshops, archery demonstrations, painting, storytelling and rope making. See the schedule here for all events and times. The festival runs from 11 a.m. to 5:30 p.m. each day, and some nights, special concerts will kick off at 7 p.m. For those performances, such as six-time Latin Grammy nominee Eva Ayllón, see the schedule here.